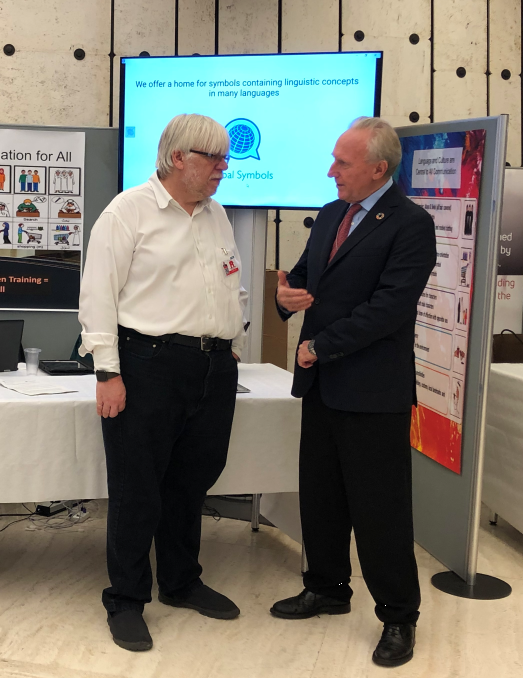 On March 7/8 2019 we had a stand in the UN E building during the 40th session of the Human Rights Council We had a chance to showcase both the UNICEF sponsored cBoard and Jellow apps as well as our own symbol set repository. 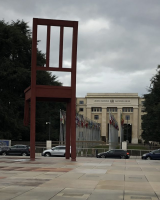 This meant we met many interesting people from around the world thanks to an invitation from UNICEF in partnership with the Permanent Mission of the Republic of Bulgaria and other International Organisations in Geneva. Twenty-one companies where showcasing their assistive technologies and services from alternative ebook organisations such as Bookshare and eKitabu to innovative wheelchairs, prosthetics and apps. Here I describe some of the AAC apps and services that also had stands. 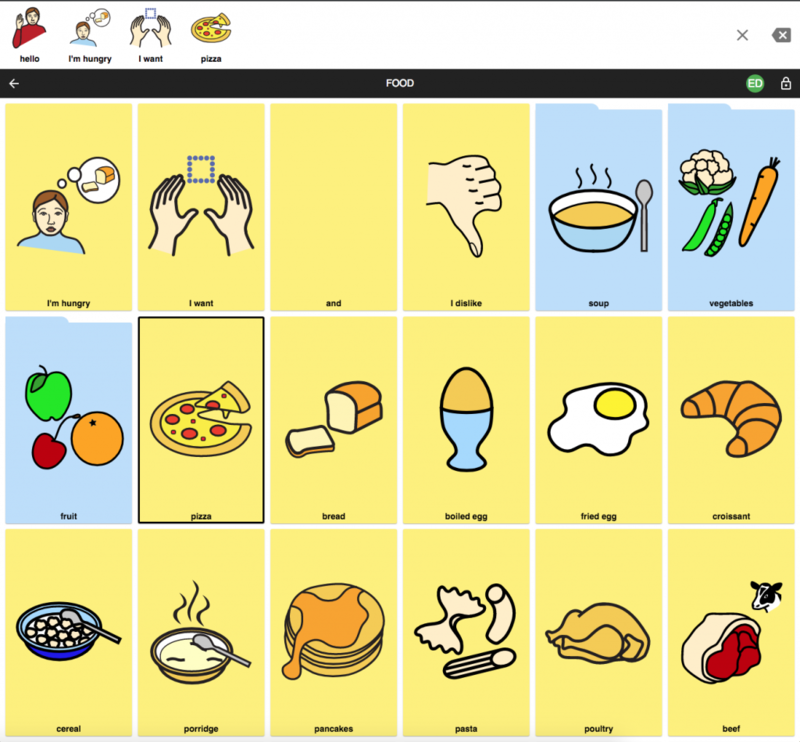 The Livox app, has been designed to work on Android tablets to help children to develop speech and language skills uses machine learning to adapt to the child’s situation and user skills. “Through artificial intelligence Livox will learn user’s routine and bring information according with the use based on time and location.” The company is based in Brazil but its founder Carlos Pereira and his team have now ensured that it is available world wide in many languages for an annual subscription. ProjectVive from the USA were showing how it is possible to 3D print the hardware that makes any tablet a usable AAC device with mounting kits, switches and amplifiers. There were many more examples companies supporting those with communication difficulties including AbleNet, BrainControl AAC, ActiveCommunication and Voiceitt who was showing how speech recognition used with non-standard speech is possible. 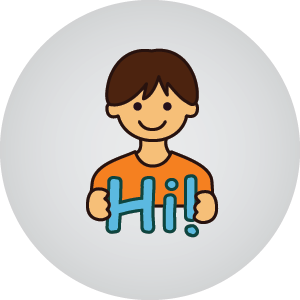 The system enables someone with poor articulation or dysarthria to turn their speech into text. There are examples of beta testers using the technology that has been funded by an EU Horizon 2020 programme.